Divi updated to 3.0.76 which will help to resolve all these as well. The update also includes some optimization for the classic Divi Builder that should address some of the issues that have been popping up recently related to module settings popups not opening or the Divi Builder not loading, which was caused by browser localstorage limits. Make sure you are on the latest Divi to get this. Otherwise the tips below will help you as well. Browser Cache – a place on your computer or device where your browser stores the information about a website that doesn’t change often. Rather than downloading the same information every time you visit the website, the browser pulls the information from its memory. The web page loads faster and the network uses less data. I think it’s good to have this practice everytime you update your Divi or any plugins because your browser is still using the cached files. If you try and edit a post or a page on your website using the Divi or Visual builder you might see a popup named “Divi Builder Timeout” that prevents you from using the editor. The cause of the problem is that the Divi builder is reaching a certain limit applied to the Apache service. After searching on ElegantThemes forum and Google, I found that by placing this code to your .htaccess will resolve the particular limit on Apache Service. WooCommerce recommends at least 64M. 128M should be enough for most sites, but if you run resource intensive plugins, you may have to go higher. You can increase it incrementally until you can complete the task that triggered the message. One of the best Divi plugin so far. A Divi Tweak Tool that make your Divi fly high without coding. Speed optimizing, page transitions and more. This plugin has a option to allow you to display a button on the Divi Page Builder area to clear the localStorage on your browser. Use this when you are experiencing Quota Exceeded for copy and paste module. This is very useful when Divi or 3rd party modules get updated. Let me know if all these tips are helpful by leaving your comments below. It seems the ‘All in One Extended’ module is having serious conflict with this. Opening standard Divi ‘row’ modules, for instance, is not a problem in contrast to the custom ‘All in One Extended’ module. I’m working locally (with desktopserver) and have done as suggested in this article with .htaccess and wp-config.php but still continue to have the endless ‘cycling’ whenever I try to open an ‘All in One Extended’ module to edit it’s settings. This leads me to believe it is an issue with your module in combination with the latest Divi update from 3.0.74 to 3.0.75. I did not have this endless cycling with version 3.0.74. Doubling the frustration is that I ‘updated’ the theme within the WordPress environment and do not have a rollback .zip of version 3.0.74 to revert back to. Given Elegant Themes policy of not having previous versions around for download in case of conflict, I am now stuck with 3.0.75. Will you be looking into this further to find a solution? Are on the latest perky version? (used to be all in one module) we tested on our staging site with the latest divi and perky animate 1.6.7 and all is working as well. Which version are you on? I was not aware there was a new (and newly named) version available. I have version 1.4.1 installed. Last month used to have an issue on windows chrome version which the chrome team fixed on the latest version. I think it’s some parsing issue on their end. Which I submitted the bug to them but it’s fixed now. Just today again Divi got an update as well to resolve this issue. The update also includes some optimization for the classic Divi Builder that should address some of the issues that have been popping up recently related to module settings popups not opening or the Divi Builder not loading, which was caused by browser localstorage limits. Thank you. #2 worked for me. Builder files may also be cached in your browser. Please clear your browser cache. We’ve cleared the cache and followed steps with not luck. Found this post and hoped it would work but no luck. Put a help ticket in at ET and waiting. Have you heard of this? Any suggestions? 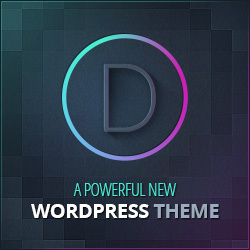 Saw on another forum that using Yost SEO Plugin may not be compatible with the DIVI Builder? Either way the Builder doesn’t open or appear on our pages. Welcome any suggestions! I had the same problem, and I couldn’t edit any page anymore. Eventually, after trying the various work-arounds suggested elsewhere in the web without success, I upgraded the PHP version to 7.70 Stable. Luckily, this was easy to perform in the webspace configuration of my provider and the new version was activated instantly. Fingers crossed, page re-loaded, and it worked! With all 3rd party plugins activated, yeah. I can’t see my home page after closing my divi visual editor, but when I open the visual editor I can t see it but while editing, and when the website is live it doesn’t appear in the live website. Need help guys. Did you try the method above? and if the method above doesn’t work for you then I think this is serious. I would suggest contact ElegantThemes support team. Hope it’s some conflict with some plugins you installed on your site. Thanks for the support, I figured it how why it does not show, it’s because of the update with the wordpress core file. But now it is up and running I just redo all the pages that are not showing. I did all of the above, but Divi won’t load. Just shows the loading spinner. It has been like this for over 2 months. Can’t edit anything on the site. I had to disable wp-super cache altogether to get rid of this error (and a few others). Hi, I tried everything, and then some (like adding a clear cache line in the function.php theme file), to no avail. The Divi Builder won’t load. Any idea? Thanks. The back-end builder did not want to open, just gave a blank screen. Front-end did still open, but to save something took ages. Finally I found out that I needed to delete the long list of revisions. The plugin WP-Optimize helped me with that. Just wanted to add this to your steps. Maybe someone else is struggling right now with that same problem. Took me 3 days to find out. But I am not a techie. Will not be the only one though. Thank you for all the above, good advise!